How do you sell American cars in 2014? By tricking people into first thinking your goods are Japanese or German. 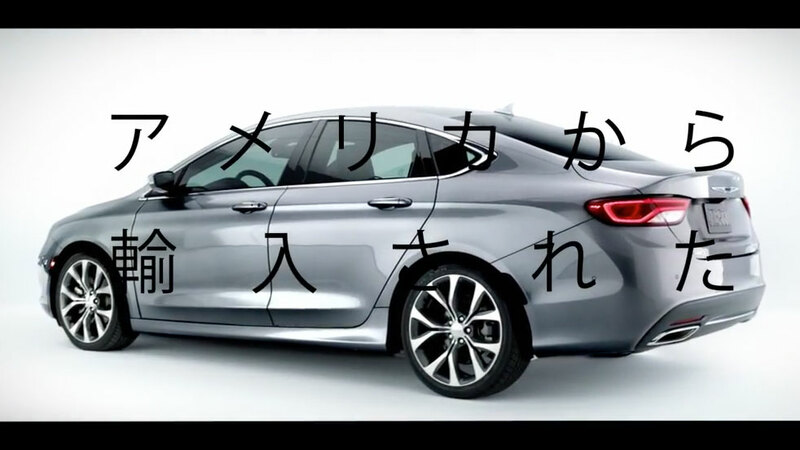 Chrysler is launching a tongue-in-cheek campaign for its 200 model with TV ads featuring voiceovers that start in foreign languages, touting qualities commonly associated with cars built outside the U.S. Then, the narrators register faux shock that the car cruising across the screen is, in fact, a Chrysler. Reliability and performance are now "American things," the ads explain, in a bid to quickly to throw the brand's past self under the bus. Created with agency Wieden + Kennedy in Portland, Ore., the spots also feature scenery meant to cue foreign settings, like cherry blossoms and koi ponds for Japan (actually shot in Detroit) and a knockoff Autobahn for Germany (shot in Seattle). Chrysler is also promising a Swedish version focused on safety (filmed in San Francisco and Seattle). They're branded with the tagline "America's Import," also slapped on the Bob Dylan Super Bowl ad from earlier this year. It's a more explicitly patriotic evolution of the "Imported from Detroit" tagline introduced by Eminem's ad for Chrysler during the 2012 Super Bowl, and reinforced by Clint Eastwood's halftime ad the following year. But since it's apparently going for a mix of laughs and puffed-up American pride, it's really a shame there's no Anchorman movie about to come out—then the company could ride Ron Burgundy's coattails again. Project: "Ready to Take on the World"